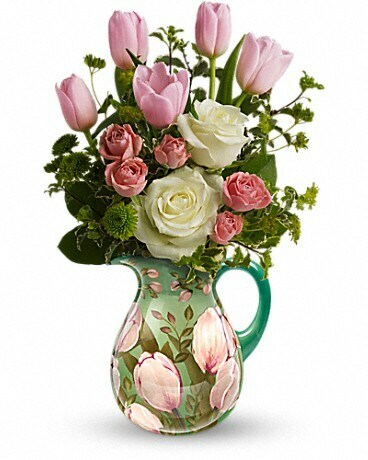 Make this glorious season even more beautiful with a gift of white and pink roses in a lovely ceramic pitcher graced with an Impressionistic tulip motif. A beautiful, and beautifully useful gift they'll cherish. This exquisite ceramic pitcher decorated with pastel pink tulips is from Teleflora's celebrated Flowers-in-a-Gift collection. 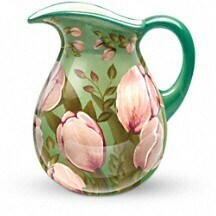 FDA-approved, it is perfect for milk, juice, or any favorite beverage.